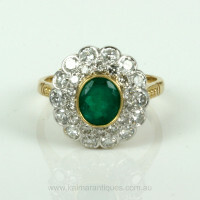 Product code: ES3147 Categories: Sold Items, Sold Rings. 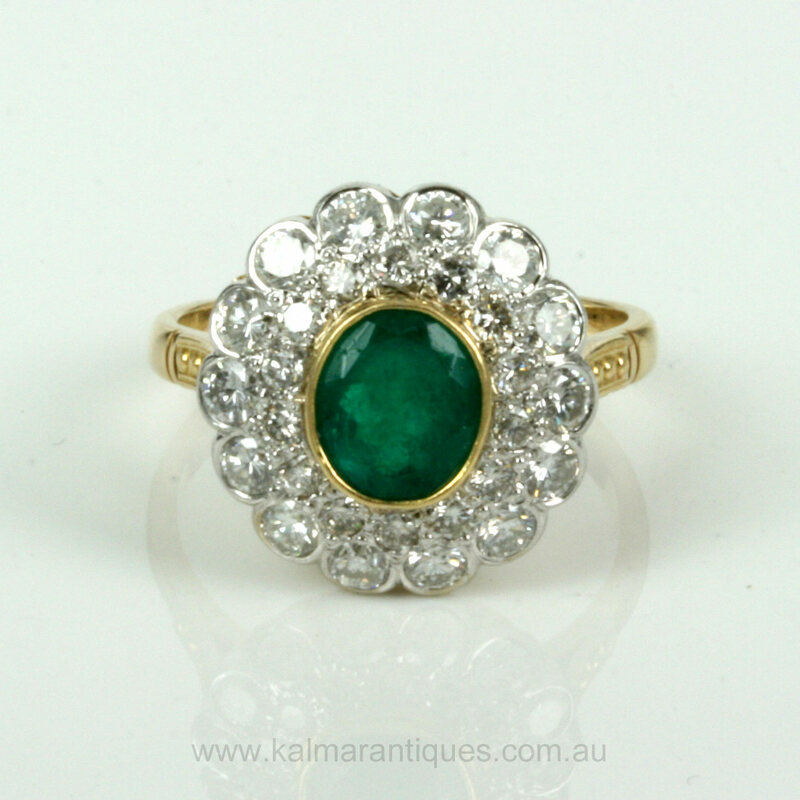 Here is a very beautiful emerald and diamond cluster ring that is different to most in that there is not just one row of diamonds but two surrounding the emerald, making this ring look even more amazing on the finger. Made in 18ct yellow and white gold, the emerald in the centre measures 1.75 carats and has such a wonderful strong green colour that is set off even more by being surrounded by the diamonds. 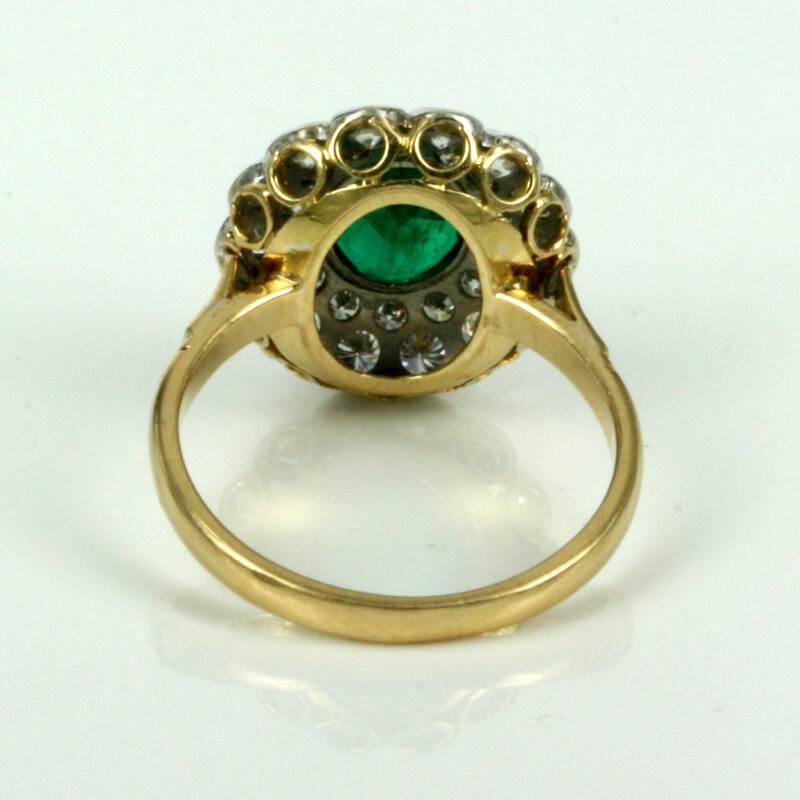 Cluster rings are always so popular with either a sapphire, ruby, diamond or in this case emerald in the centre and this ring would also make a wonderful engagement ring that will always be admired. From left to right the ring measures 16.2mm and from top to bottom it measures 17.1mm in length and the sparkle from the 28 diamonds really looks sensational and the emerald has that perfect green that looks stunning. This is such an attractive and special emerald and diamond ring that looks so good thanks to the emerald and double row of diamonds that will look good on any finger.